Browsing Category: Glitter Displaying 1-6 of 19 Found. $2.00 Fancy Glitter is a premium grade craft glitter. We have 10 colors to choose from. Each package of glitter has a net weight of 1/2 ounce. $2.00 Fancy Glitter is a premium grade craft glitter. We have 14 colors to choose from. Each package of glitter has a net weight of 1/2 ounce. $3.00 Flitter is a premix of flocking fiber and glitter giving your flocking project the sparkle of diamonds. Use an adhesive/paint in the same color as the flocking or you can use a clear adhesive. Each package contains 1/2 ounce and will cover 1 1/2 sq ft.
$112.50 - $74.00 You will recieve a 1/2 ounce or 1 ounce of all 50 colors of rayon fiber flocking we have available. This is a great way for crafters to have a selection on hand. We will also include a FREE Squeeze applicator with this offer. 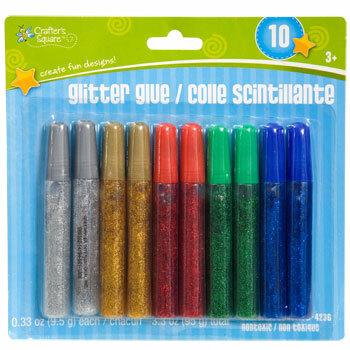 $3.95 Washable and non-toxic glittery glue is perfect for all your art and craft projects! Displaying 1-6 of 19 Found.